Gift card for the Western Suburbs’ hottest restaurant, BAKERSFIELD Wood-Fired Grill! Recognized for excellence by Steve Dolinsky (ABC7’s Hungry Hound) along with the Chicago Sun-Times, BAKERSFIELD is a contemporary American restaurant featuring a wood-fired grill, located just across the street from Standard Market in Westmont. Gift cards will be mailed within 1 business day. Please select “free shipping” and be sure to indicate shipping address. A BAKERSFIELD gift card is a perfect gift for a loved one, business associate, or anyone else who enjoys great food. 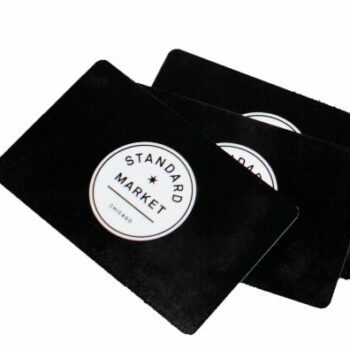 BAKERSFIELD gift cards are also good at Standard Market, Standard Market Grill, Standard Tacos & Margaritas, and The CUBE at Standard Market.